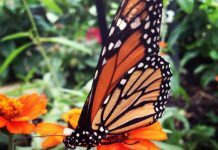 In this article I’ll be demonstrating some of the essential monarch butterfly facts for kids including monarch diet, habitat, reproduction, and predators. The monarch butterfly ((Danaus plexippus) is a milkweed butterfly belongs to the subfamily of Danainae, and the family Nymphalidae. Amongst all the North America butterflies, monarch butterfly supersedes. These butterflies had been discovered in the beginning of the 19th century in New Zealand, and in Australia in 1871 where it is named as Wanderer. These insects are the inhabitants of Azores, Madeira, and Canary Islands and are also rarely found in the Western Europe and United Kingdom. They have unmistakable wings pattern, with a wingspan measuring at 8.9 – 10.2 cm (3.5 – 4 inches). They are sometimes confused with the Viceroy butterfly because of the similar size, color and wings pattern. 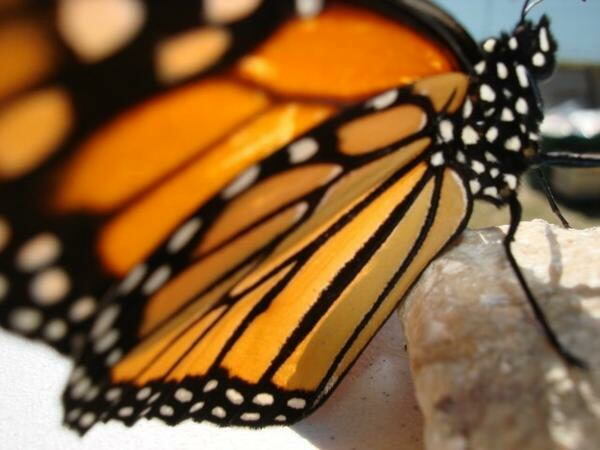 However, an extra black stripe across the monarch butterfly wings separates it from the Viceroy butterfly. Females are believed to have murky veins on their wings while males exhibit the spot known as androconium which lies at the center of each hind wing. From this spot, pheromones are discharged. Females are slightly smaller as compared to males. 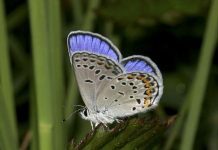 These species are well-known for their migration toward northwest and from Mexico, Canada, and Baja California which spans the life of 3 – 4 butterfly generations. The wingspan of monarch butterfly ranges from 8.9–10.2 cm (3½–4 inches). The upper wings display tawny-orange color while margins and veins are black, and in the margins are two successions of tiny white spots. The wings at the forefront show near-tip spots. The undersides do not differ but the rear wing and fore wing exhibit yellowish-brown color. 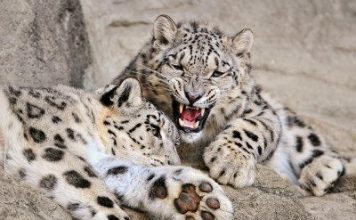 They have greater white spots. The males show black badges of androconial scales which are responsible for scattering pheromones on the rear wings, and the black veins are narrower as compared to those on females. The male is a little larger than female. There is a significant color variation in species dwelling in Australia, United States, Indonesia, and New Zealand which is as primitive as the late 19th century. Like other insects, monarch butterfly has six legs but it employs only four of them since the other two are carried against its body. They lay creamy white eggs which becomes pale yellow afterward. These eggs are stretched out with an estimate 23 longitudinal ridges and several fine traverse lines. The weight of the eggs measure around 0.46 milligrams (0.0071 grams), with the height measuring at 1.2 mm (47 mils), and the width of about 0.9 mm (35 mls). The caterpillar is marked with black, yellow and white stripes. The head is also marked with black and yellow color. It comprises of two pairs of black filaments, with one pair anchoring at each end of the body. Viceroy butterflies are widely known for their mimicry. 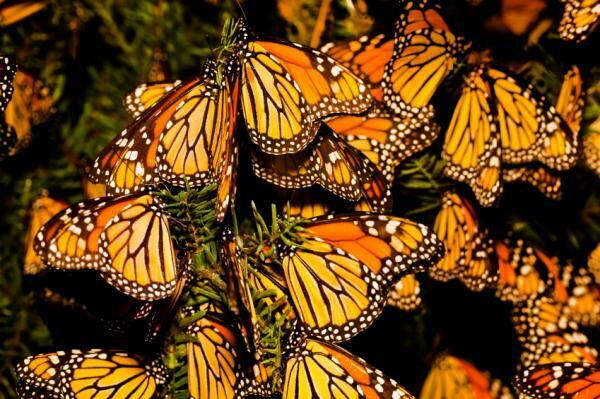 Read More: How Long Do Monarch Butterflies Live? These insects are mostly found in Canada and northern South America. 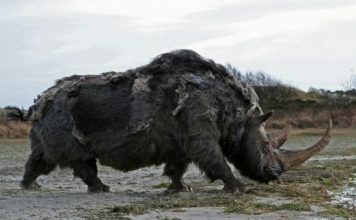 A few species have been introduced to western Europe from USA. Apart from these places monarch butterfly also lives in New Zealand, India, New Guinea, Solomons, Caledonia, Hawaii, Australia, Canary Islands, Celyon, Bermuda, and Azores. 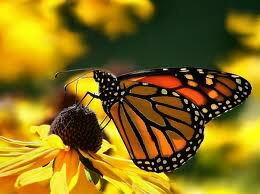 Monarch butterfly is normally found in prairie remnants, gardens, suburban parks, meadows, fields, roadsides, and trees. These species overwinter in conifer groves. 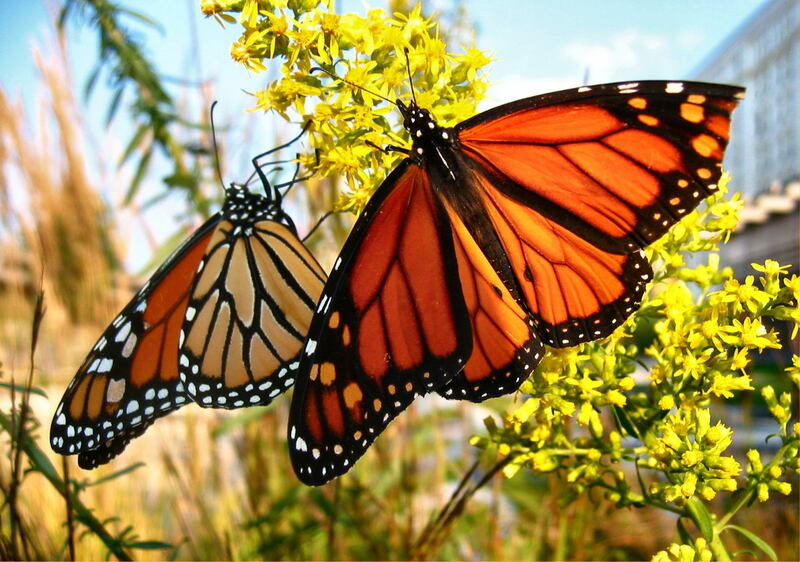 Monarch butterfly facts for kids demonstrate that these insects travel vast distances each year. One of the massive migrations take place in North America from they migrate toward southward which usually begins in August until the first frost. However, the northward migration occurs in the spring season. Amongst all the butterfly species, monarch is the only insects that migrate both north and south as the birds do on a regular basis. They travel in groups and no single individual is known to make an entire trip. The butterflies living in the east of Rocky Mountains migrate to the Mariposa Monarca Biosphere Reserve lying within the Trans-Mexican Volcanic Belt pine-oak forests in Mexico. This type of migration takes place at the end of October. 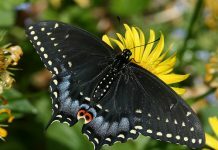 The western butterflies are known to cover several sites including Pacific Groove and Santa Cruz of United States. The length of these traveling surpasses the regular lifespan of the majority of monarchs, which is less than two months for species born in early summer. The overwinter population of these monarchs is deemed to reach as far north as Oklahoma and Texas during the spring season. Monarch butterflies employ earth’s magnetic field for orientation. The antenna is receptive to the violet-blue part of the spectrum. It can operate as chemical compass in the presence of blue o r violet light and is incapable to tell the difference between the magnetic South and North. They are believed to make trans-Atlantic crossings unlike most species. With the increased usage of milkweed as ornamental plants, monarchs are becoming common in Bermuda. The cardiac glycosides make these butterflies poisonous and distasteful for birds or mammals. These glycosides are confined in milkweed which is eaten by larva. It is believed that the bright colored larvae and adult operates as warning colors. These types of butterflies are often eaten by eager birds during their (monarch butterfly) hibernation. Here is a long list of nectar-resources these butterflies utilize. 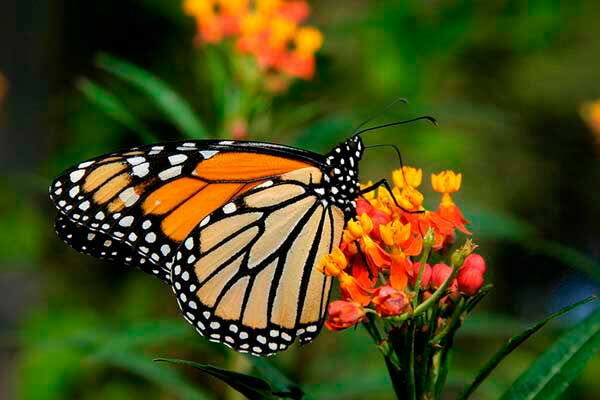 Read More: What Do Monarch Butterflies Eat? As far as the overwinter population is concerned, the mating takes place in spring, just preceding the migration from overwinter locations. 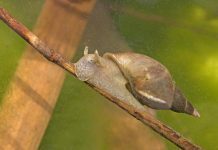 They have a fairly straightforward courtship and is less reliant on chemical pheromones as compared to the other species within the same genus. Courtship consists of two different phases, the ground phase and the aerial phase. All throughout the aerial phase, the males are known to follow and take down their females. Copulation begins to emerge as the male and female remain attached for about 30 – 60 minutes. Females lay eggs during the summer and spring seasons. These eggs are laid onto the milkweed plants and leaves. The hatching period lasts for about 4 days, give birth to worm-like larvae, caterpillars. These caterpillars eat their eggs containers. 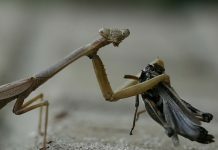 They tend to feed on milkweed and cardenolides. These species are distasteful and poisonous because of the presence of cardenolide aglycones in their bodies, which the caterpillars digest as they eat milkweed. This phenomenon is called aposematism. Monarchs also consist of the cardiac glycosides that come from the Asclepias plants which caterpillars usually eat. Black headed Grosbeaks regularly prey on overwinter monarchs living in Mexico which are immune to that toxin. Other bird species such as jays and orioles are well aware of the poisonous parts so they mainly feed on abdominal contents and thoracic muscles which are relatively less hazardous. 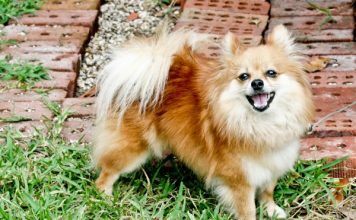 There are mice that are capable to withstand large doses of poison. 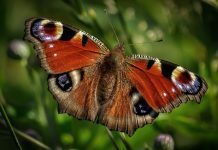 The overwinter butterflies turns out to be less poisonous thereby making less prone to potential predators. According to an estimate, around 14% of monarchs are consumed by the mice and birds. Main Article: What Eats Monarch Butterflies? Even though monarchs eat milkweed, difference in the amount of cardiac glycosides subsists among species, individuals and even host plant parts. Not all monarch species are distasteful but are Batesian. Most of their predators are birds such as Pinyan jays, Robins, Sparrows, Brown Thrashers, Cardinals, Scrub Jays, and Grackles.